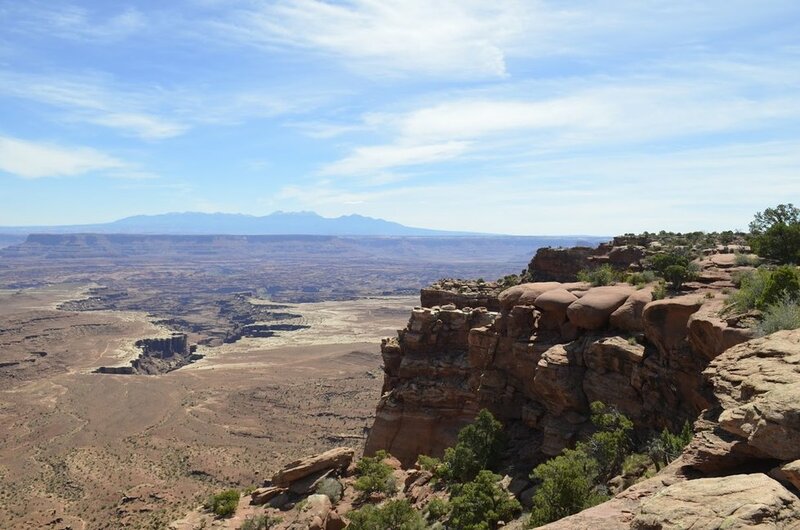 Equipped with two gallons of water, what we thought was enough snacks, and an excitement to explore new lands, we went to Canyonlands National Park. One of my closest friends texted me during the school week asking what my plans were for the weekend. I told her the same old same old — hanging out with some friends and doing a lot of homework. She told me she wanted to go camping and I should get to Utah as soon as possible. I booked a plane ticket for Salt Lake City in three weeks. 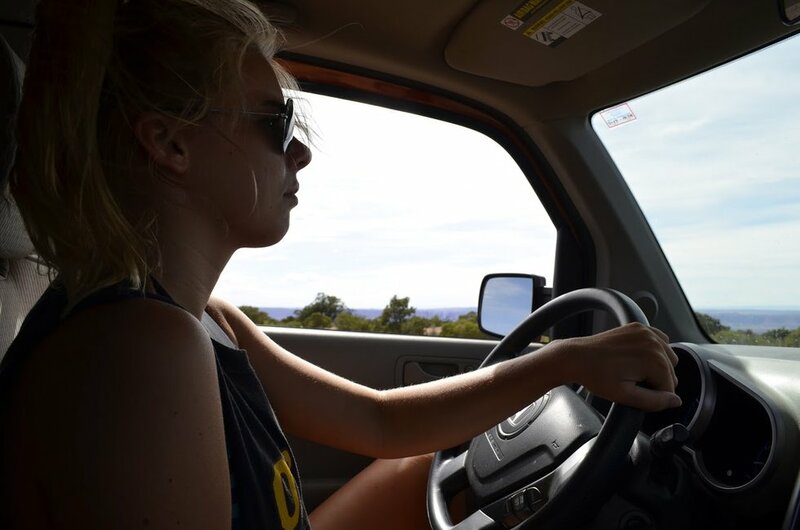 We took off to the road to Canyonlands National Park early the next morning with two gallons of water, what we thought was enough snacks, and an excitement to explore new lands. It took around five hours, including stops to pull over so I could take photos of the moon. Neither one of us had service, so we could only listen to CDs in her car, which included country and Disney musical classics. My personal favorites were anything Josh Turner and "The Circle of Life" from the Lion King. 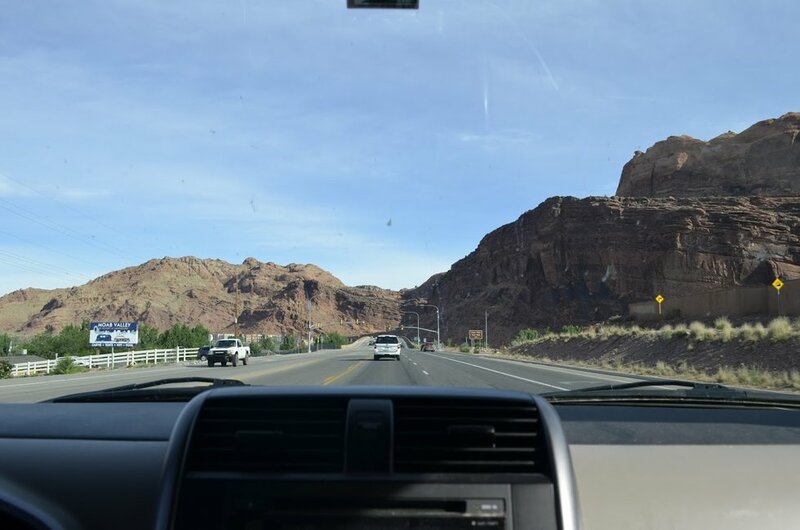 Once we got to the National Park, we could not believe how enormous it was. The giant dessert stretched as far as we could see into the horizon and the giant rock formations. A lot of people are not fans of the desert heat, but I love the dry heat. We hiked around the "Island in the Sky" and took breaks to drink our single gallon of water and ate strawberries and bread. 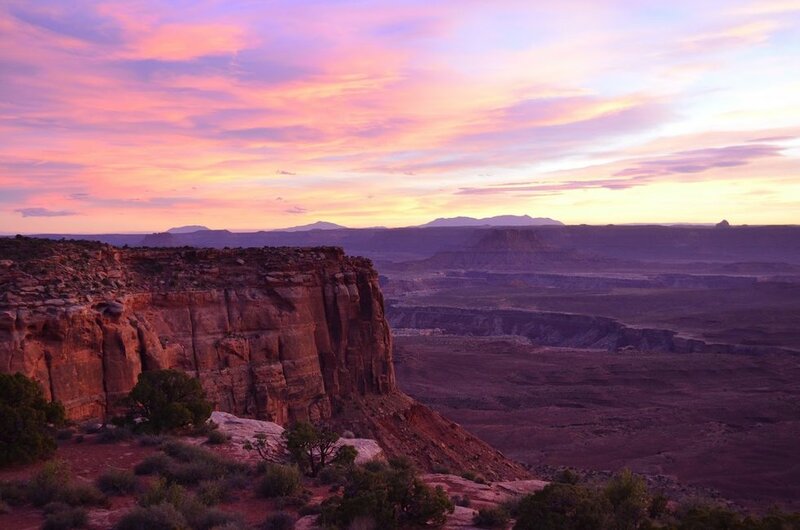 As you can see, the pinks and the blues create a purple wash that looks more like a watercolor piece than real-life landscape. Later, when the sun set we sat on top of our car and looked at the Milky Way. My friend could name just about all the stars we could see around us. 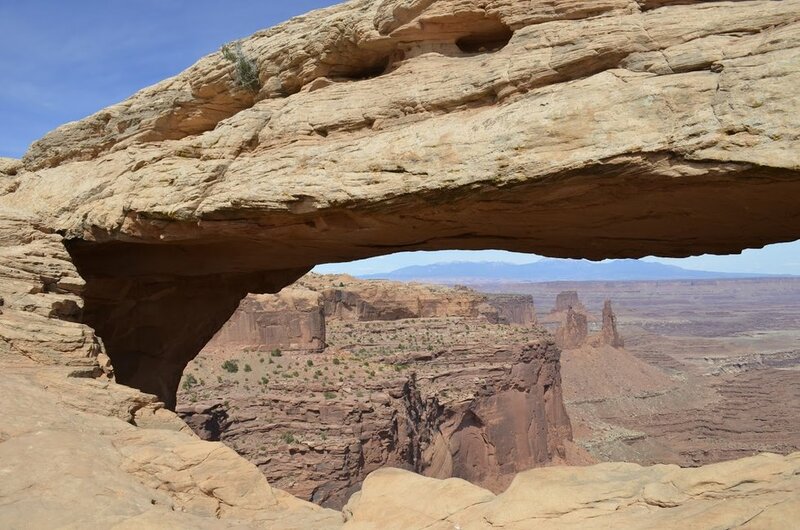 All in all, I have nothing but great things to say about Canyonlands and Utah in general. The weather was hot, I got to stand on platforms thousands of feet above sea level, and saw the Milky Way for the first time.